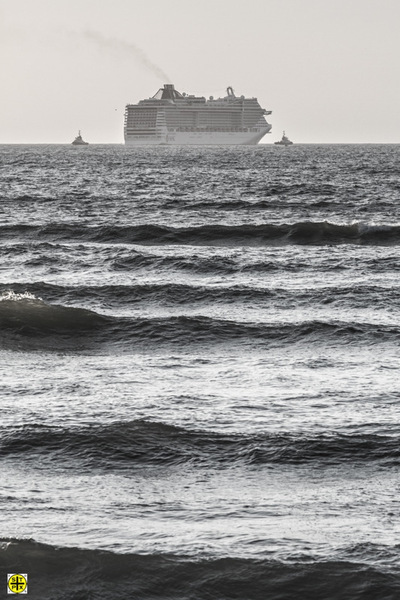 MSC Splendida passes into the channel with The Great South Wall to starboard. 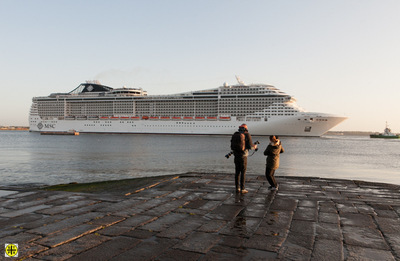 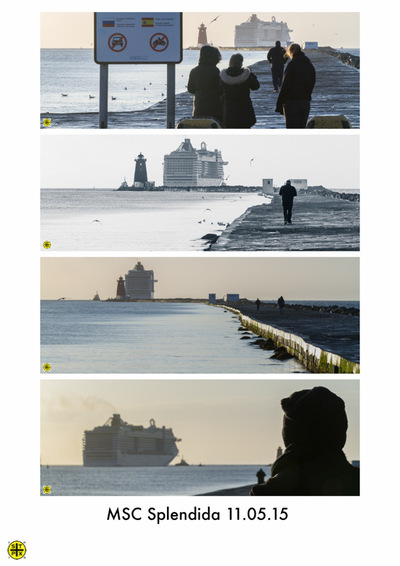 Onlookers with cameras get an idea of the scale of the MSC Splendida cruise ship. 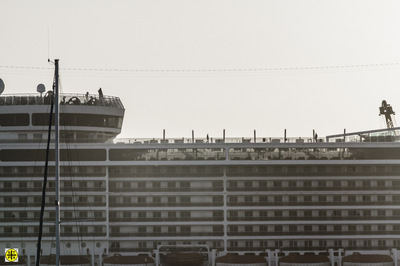 Against a strong sun the scale of the MSC Splendida is apparent.Spot the crew members/passengers. 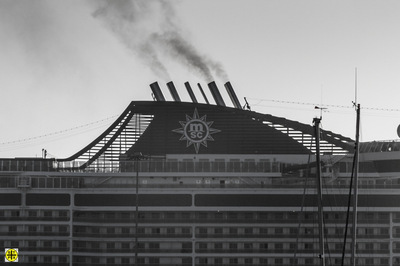 The MSC Splendida smokin' on the Dublin Quays. 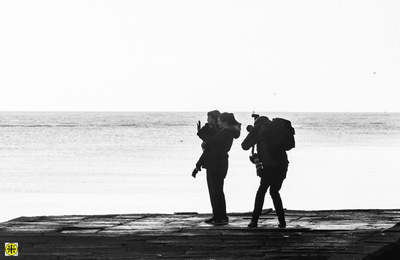 Photographer takes details from onlookers. 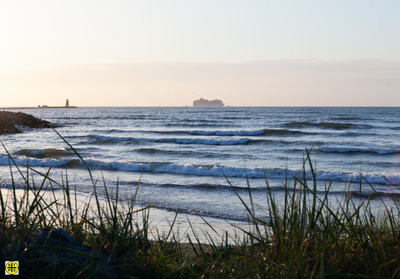 A hulking metal town dominates the horizon at the Shelleybanks. 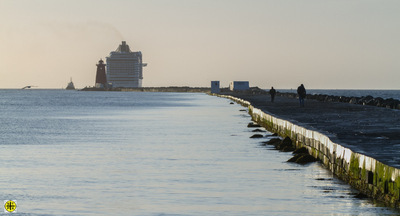 The Great South Wall lines out to greet the MSC Splendida. 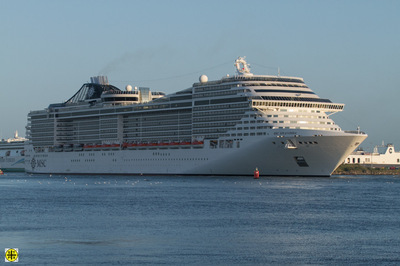 MSC Splendida reverses to stop. 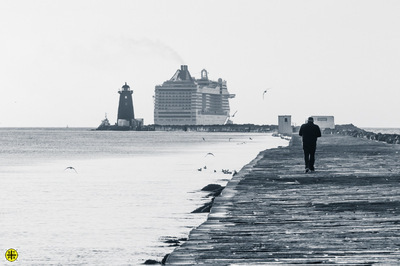 The MSC Splendida dominates the far quays. 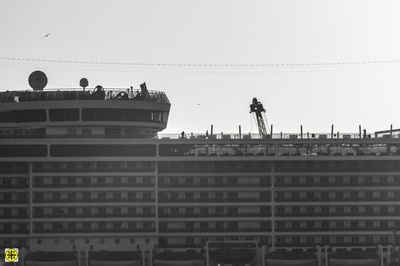 The 11th longest cruise ship in the world. 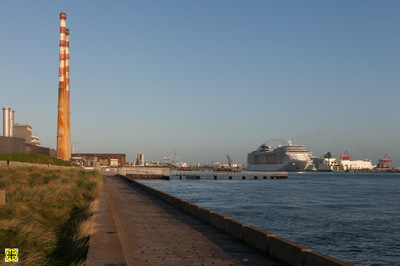 The Poolbeg Chimneys welcome the MSC Splendida as she slowly moves to berth. 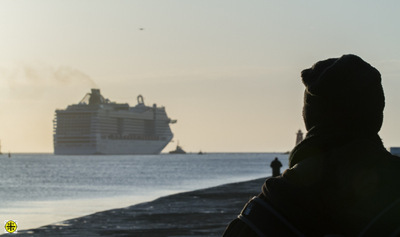 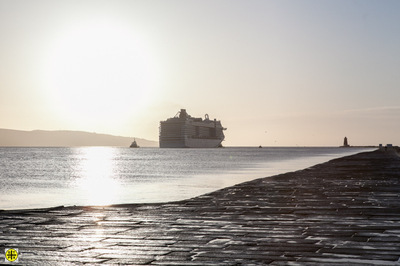 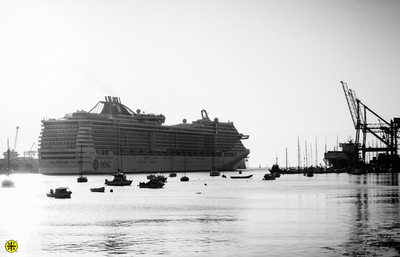 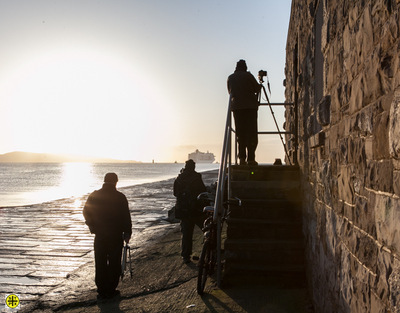 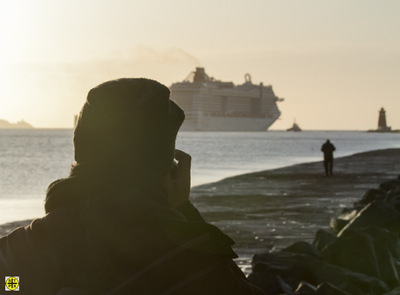 Early risers gather at The Great South Wall as MSC Splendida hones into view. 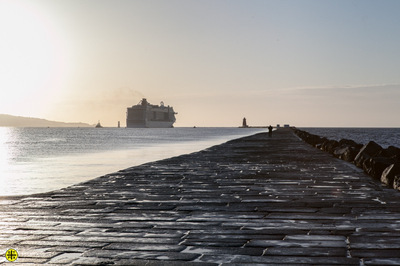 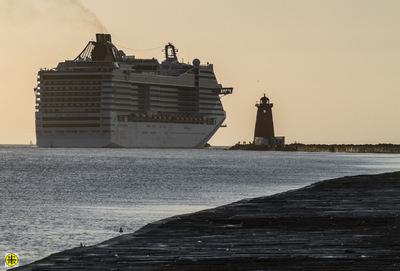 MSC Splendida and Poolbeg Lighthouse, a David and Goliath Dawn. 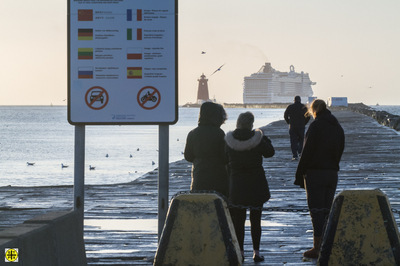 The MSC Splendida nears it's Dublin destination. 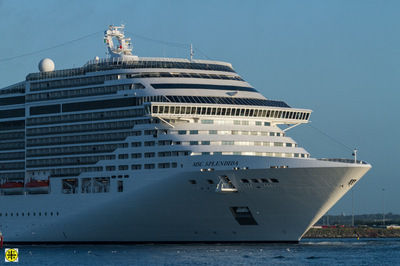 The MSC Splendida. 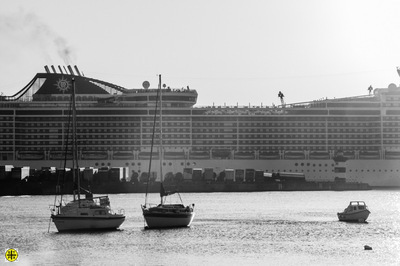 She's sorta roomy!